Stop Press! Earlier this March, Jenny was interviewed by progressive UK grant funder, The Fore, to discuss Plant Your Future’s (PYF) work and the way in which a grant awarded by The Fore helped us overcome a critical hurdle in our work in the Peruvian Amazon. Why was the grant so critical? While waiting for the fruit trees to grow and become income-generating, there is a real risk farmers will become de-motivated and disillusioned. Worse still, they might simple become unable to maintain the trees — abandoning them in favour of other short-term income-generating activities elsewhere. But selling chilli peppers — a crop that grows quickly — gives our smallholder farmers a short-term income that is sustainable. How did The Fore help? The Fore foundation is all about giving targeted grants which will make a transformational impact for the recipient charity. 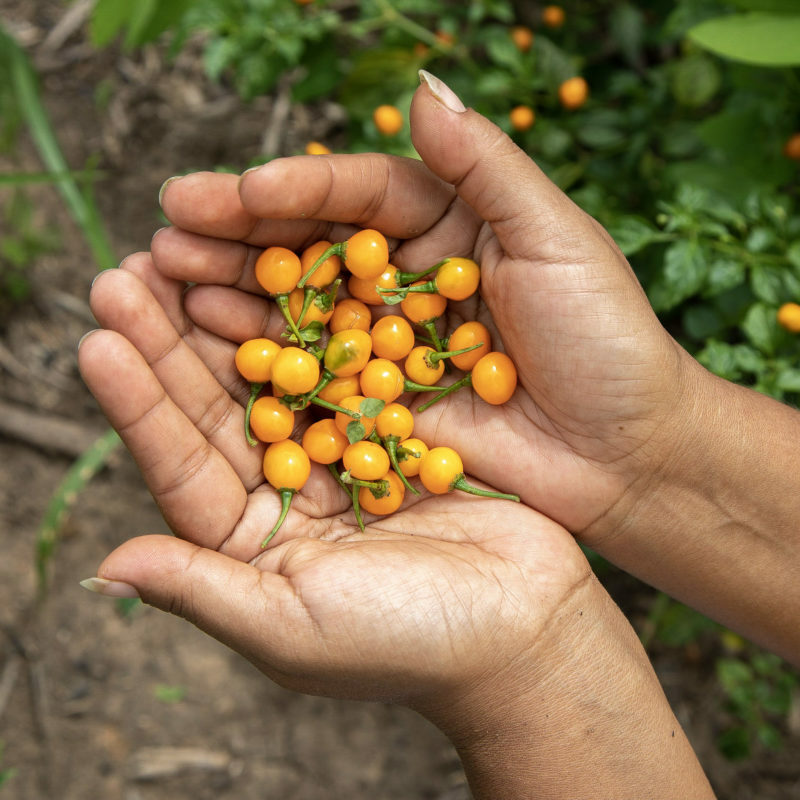 Faced with the challenge of maintaining the farmer’s motivation, the grant helped fund the early stage development of our hot chilli pepper business with our smallholder farmers on degraded land in the Amazon. And starting a chilli pepper production programme and business has had a big impact — it has given the farmers a focused activity to keep them motivated within their agroforestry system in the short term, as well as an income that enables them to maintain the other trees in the systems that provide longer-term income. What’s more, the grant was also valuable with helping fund the Charapita Hot Chilli Sauce brand launch in 2018. The Fore Foundation has a unique grant giving model that supports small charities by providing not only the funding needed for success, but also the strategic support as well. Watch the video to hear Jenny talk with the team about PYF’s mission, how we’re doing it, and why The Fore has been such a valuable donor to PYF.